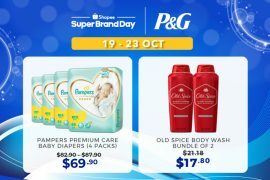 We’re kicking it off with the P&G Super Brand Day on 15 Apr and over the next 20 days, you can expect deals from popular brands like Sudio, Laneige, Triumph and more! These are official brands on Shopee Mall so you know what that means! 100% authentic items and 15-days free return. Chase away your Monday Blues and start the week right with our Brand Box Mondays during this entire period. 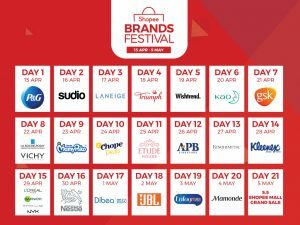 These brand boxes will be priced at either $29 or $69 and you can expect goodies from your favourite brands like Laneige, Jabra, Gin Thye, Kappa and more. Hurry, set your alarms and camp out for these items on our Flash Deals page to get your hands on them. Unless you’re living under a rock, you’ll know all about Shopee’s Lowest Price Guaranteed, where we give you two times the difference back if you find a lower price from any of our competitors*. Yes, you read that right. Two times the difference. We’re that confident and that is why you’ll want to check back every Tuesday for a Lowest Price Guaranteed sale. Celebrate mid-week with us and mix it up every Wednesday. WIth our Mix & Match Wednesdays, you can buy any two products to enjoy additional discounts. Products from your favourite fashion brands like Triumph, to top beauty brands like Mamonde and Laneige and more, will be up for grabs. Aunty deals alert! Nestlé will also be releasing deals so do camp out for them. 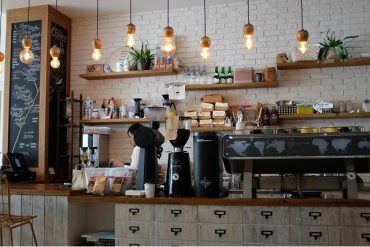 Shop more to earn more! We’re giving you more reasons to shop every Thursday because you can enjoy an additional 10% off cashback with every Shopee Mall purchase. Simply enter a promo code when you checkout to get extra Shopee Coins. You can then use your Shopee Coins to either offset your next purchase with us, on promo codes or on partner vouchers. 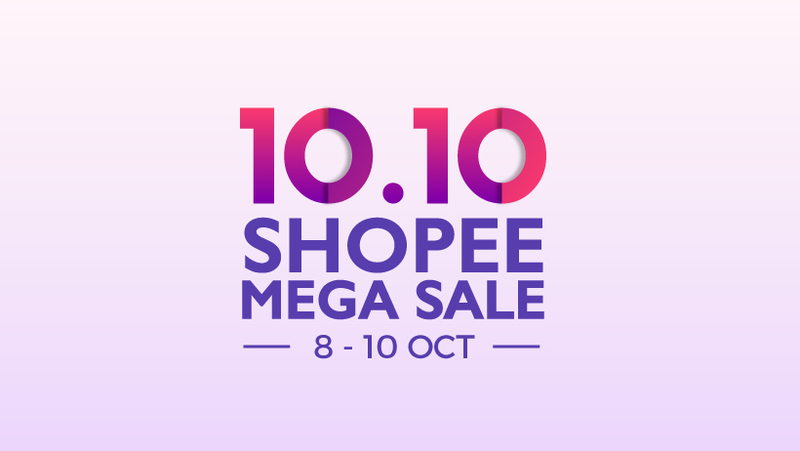 More details on Shopee Coins rewards can be found here. We’re giving you one more reason to thank god it’s Friday! Every Friday, we’ll be releasing a collection that will allow you to add on one additional product for just a dollar. Simply add on the product just before you check out to enjoy these additional savings. We’re bringing back Spin & Win this Brands Festival. Spin the wheel every day to win Shopee Coins, vouchers and prizes worth up to $10,000. Each user will be entitled to one free spin daily and you can earn an extra spin with every $5 spent on the participating brands. Psst, we’ll be upsizing the Spin & Win rewards during the weekends so you’ll want to stay tuned for that! Besides this, we’re also giving you a surprise every day. Open the treasure chest daily at 12am and 12pm and be rewarded with vouchers and more. A variety of vouchers that can be used sitewide and on Shopee Mall products will be released every day so you know the drill – better just be kiasu and open the chest every day! Avengers fans, you’ll want to note this down because we will be releasing limited edition Avengers End Game merchandise on Shopee. Besides this, we’ll also be giving away movie tickets to this much-awaited movie of the year. Don’t say bojio! Follow us on Facebook to stay updated! If you’re a DBS or POSB cardmember, you’re in luck because from 15 Apr to 4 May, you’ll get to enjoy $5 off (min. 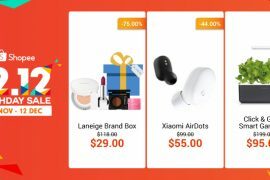 spend $40)* whenever you purchase from Shopee Mall. To make things even sweeter, we’re giving you a special $8 off (min. 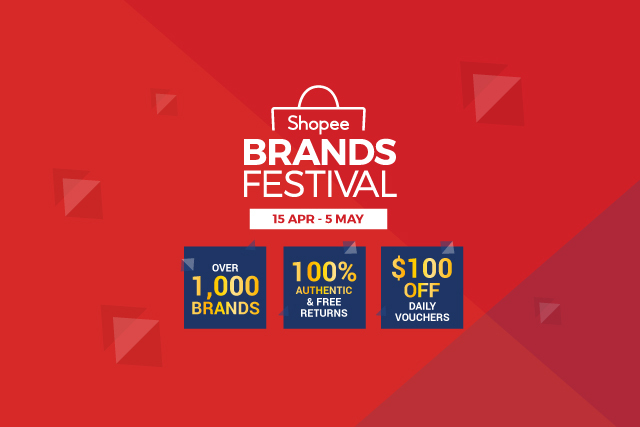 spend $60)* on all Shopee Mall purchases on 5 May! Psst, no voucher codes needed, you just have to check out with a DBS/POSB Card! * T&Cs apply. Applicable to Shopee Mall products only. Limited redemptions daily. Last but definitely not the least, our famed giveaways. Follow us to stay updated because we’ll be giving away prizes and Shopee Coins worth more than $2,000 on our Official Facebook Page and Instagram Account. A little shrimp told us that favourites such as Garmin Smartwatches and Sudio earphones are up for grabs! And if you’re already on Shopee? Well, you’ll want to check back at 12 midnight every day because we’ll be releasing giveaways on our Official Account in-app where you can win more Shopee Coins for your Shopee sprees! What are you looking forward to? Let us know in the comments below! * TNC Applies. Valid for new users from 14 Apr to 5 May only.